There are several terms used to describe fractal networking including chaos networking and scale-free networking. 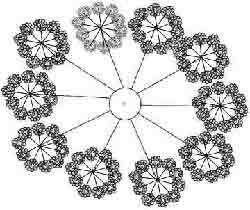 Examples of fractal networking are found everywhere from a snow flake to the universe. The repetition of growth and development patterns are often repeated over and over in nature. The principles and patterns are used everywhere we turn, including computer programming, art, and engineering. We even see fractal patterns in the growth of plants such as a broccoli head or a flower. These example of fractal imagery which we can see with our eyes are examples and evidence of a fractal, well ordered system found encoded in the DNA of creation. That DNA is merely a reflection of the mathematical codification found in the uniform creative power of God. God created man and woman after their own kind yet the similarities in the pattern of their being form a common standard of their nature. 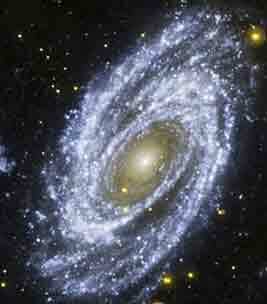 They in turn procreate and multiply upon the face of the earth replenishing it with the nature of God. The families of man unite in society according to the character of the men and women who come together in it. Complex Fractal patterns allow for variations within the original plan, but the pattern of the plan remains visible throughout the substance of its creation. The Kingdom of God has always expressed a pattern that can be seen in the union of men bound in the world by common faith, hope an charity, which is love. The history of that pattern has been obscured by men and ideas that have crept into the minds of the peole like a contaminating cancer. God displays natural patterns through His creation that repeat themselves over and over again, each according to its kind. Man was originally made in the image of God and what the natural man creates should reflect that original pattern of his creator. To maintain that pattern in a uniform manner is a product of being ingrained with the chemistry of God's Holy Spirit. The deviations from these godly patterns of creation produces defects which lead to a degeneration of society. When Cain left the presence of God and formed a city state he deviated in a degenerative way, while Noah remained righteous in his generations. This degenerative deviation or rejection of God's way or fractal pattern for society can be called sin. We see the same type of deviation when the voice of the people elected Saul. This defect and departure from God has been a sin exercised by adulterous nations since the dawn of mankind and was called a rejection of God. It is often the result of a covetous people who desire benefits at the expense of their neighbor and become slothful, and therefore go under tribute. What is the natural fractal pattern of society? A stable diversified social network covering a large area is built on the union of individual intimate cell groups, composed of families with common and fundamental values. The uniting force that unifies them together binds them like a finely woven net. 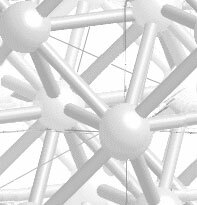 Like all fractal networks their must be a binding force that keeps the parts together. The nature of that binding force determines the nature of that society. It does not use a restricting or arbitrary power to keep the people together but requires a faithful and diligent commitment of workers that accept responsibility through the exercise of a brotherhood of forgiveness and charity, which is love. Networks are not massive globs or crowds of tumorous growth. It does require connection points but these points provide a service and are fused by faith and love in hope and charity. In the kingdom those connection points are men who volunteer to serve the needs of the people in coming together. In the early stages of coming together we call those volunteers Contact Ministers. Start small and consistently build in ways that are uniform with the nature of your ruler or king. Christ was a king who came to serve and therefore the nature of His kingdom is based on people serving people. The kingdom has always been based and supported by the freewill offerings of the people. Anything more or less is a deviation from the pattern laid down by Christ and the prophets. The network that has always been the kingdom is like a wheel within a wheel spoken of by Ezekiel. A stable network based on kingdom principles needs grassroot support from every soul in union with the Holy Spirit. That spiritual and temporal support through individual choice and freedom is a narrow consistent approach with a common theme of love and liberty which is the character or name of Christ. The people are linked by a common purpose of equaling caring for others as much as ourselves. It is a society that is blessed by the progressively, if not pervasively virtuous nature of a people who love God's way and each other. This precept is why Moses, John the Baptist, and Jesus preached that we were to love our neighbor as ourselves. If we do not care equally about the life and liberty of our neighbor we will not form a network based on God's dominion nor find the Kingdom of God or His righteousness. We at His Church have written about the contractual nature of the governments of the "world" who bind people by the offer of social benefits and the burden of debt, who compel by covenant and contracts. We, through avarice and apathy, become addicted to the gratuities and grace of men who call themselves benefactors but exercise authority one over the other. Learning to provide the true needs of our community through charity alone is a skill modern society has neglected if not abandoned. We must turn around, repent, and go another way. We must seek the kingdom of God and His righteousness. We must plant the mustard seed of faith not the oak "acorn" of central none compliant control. We can learn to care for one another like minutemen of America and the ancient Israelite nation guided by Moses, even like the first century Christian appointed by Christ. We can do a better job than socialist democrats who covet their neighbor's goods through the authority of benefactors they elect for themselves. Yes we can... if we have the love of Christ and His Holy Spirit upon us.